Modern and traditional meet in a minimalistic signature dark flacon, Jo Malone London Cologne Intense Series is getting a new fragrance. The frankincense from Oman is recreated using natural ingredients and combined with bright citrusy notes. Result? One of the best unisex fragrances I have came across for a long time. 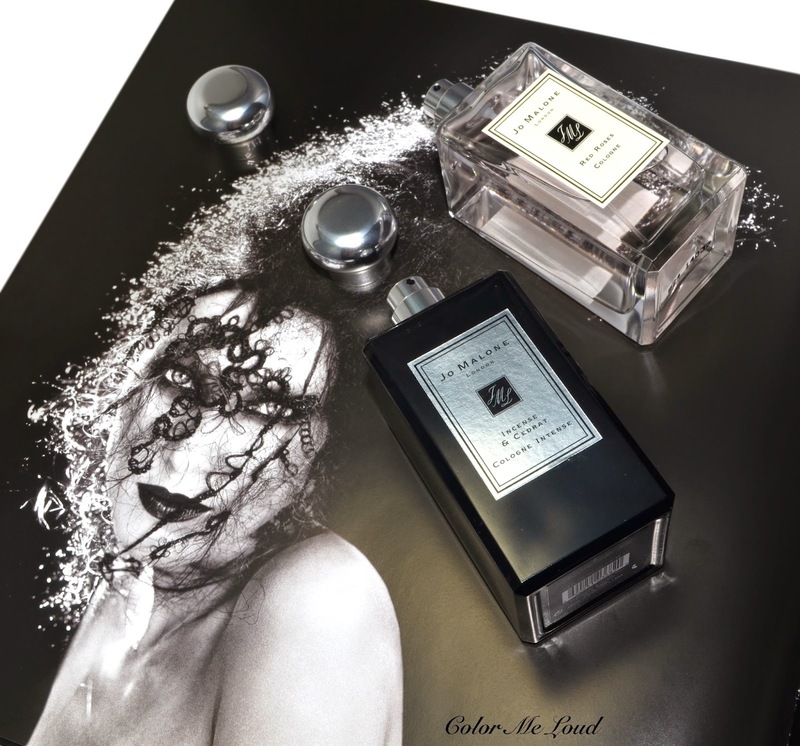 Today it is about Jo Malone London Cologne Intense Incense & Cedrat. If you start reading about the perfumes from creation to their production, it is amazing to see how the lacking resources push perfumers to the boundaries of their creativity and make them try new things. Oman has a long tradition of frankincense production, you can read all about it here at Omani World Heritage List. Not to endanger the Boswellia Sacra trees, where the resin comes from, and also to keep it affordable for all of us, this unique aroma is recreated using only natural ingredients. Jo Malone calls this technique "Nature Print™". The composition opens with a warm welcome of pepper notes brightened by fresh citrus in a pleasant balance. The opening makes me smell my wrist each ten minutes, it is so addictive. After an hour, the pepper notes slowly disappear and the ambery labdanum radiates from my skin but it does so not in an overpowering way. The citrusy notes brightens up the otherwise deep and leathery scene which lasts two to three hours. As benzoin brings the light-hearted and slightly sweet base, it stays close to skin for another two hours before it starts fading. Jo Malone London Cologne Intense Incense & Cedrat is a modern minimalistic take on frankincense which has a pleasant silage. It wraps you with a warm blanket but the blanket is not too thick nor too heavy. Incense & Cedrat is one of those fragrances you would love smelling on yourself and your lover alike, regardless of the gender. Jo Malone suggests layering scents to come up with your own signature perfume. As I visited Jo Malone counter in Douglas on Koenig Strasse, I was told that this one especially layers well with Oud & Bergamot and Lime Basil & Mandarin. I have tried both of the combinations. Oud & Bergamot blends well with Incense & Cedrat and although I liked the blend, I didn't think it added another facet to the already well established incensy and fresh feel. Lime Basil & Mandarin strengthen the fresh notes of the otherwise balanced composition and to me they override the other wonderful things happening otherwise. My favorite combination became Red Roses Cologne (reviewed here) and Incense & Cedrat Cologne Intense in no time. Love at the first whiff, roses bring the otherwise smoky and darker scent to a more feminine scale in an elegant way. My recommendation is not to add too much roses though which otherwise take over the scene. Two sprays of Incense & Cedrat combined with one spray of Red Roses is heaven on earth for the lovers of warm oud scents. I know roses and incense, it is a known combination and nothing all that original but this one smells so real and so pleasant, light but convincing, like someone who has the power but chooses not to use it. It is love for me and can't stop wearing it. Final thoughts: If you like spicy, warm, balsamic and spicy fragrances as much as I do, you will love Jo Malone London Cologne Intense Incense & Cedrat. It is a lovely modern interpretation of frankincense, brightened by the fresh citrusy notes by just the right amount. Composition by itself is perfectly unisex, read I am trying hard to hide it from my husband. Combined with red roses, it is right now my favorite blend, can't stop wearing it. Availability/Price: Jo Malone London Cologne Intense Incense & Cedrat is now available in Germany at Jo Malone London counters. I am hearing that it will be launched around the world in the next one to two months, it is priced around 112 EUR for 100 ml. Do you like warm and spicy perfumes? Unisex scents, yes or no? Hell yes, and yes. 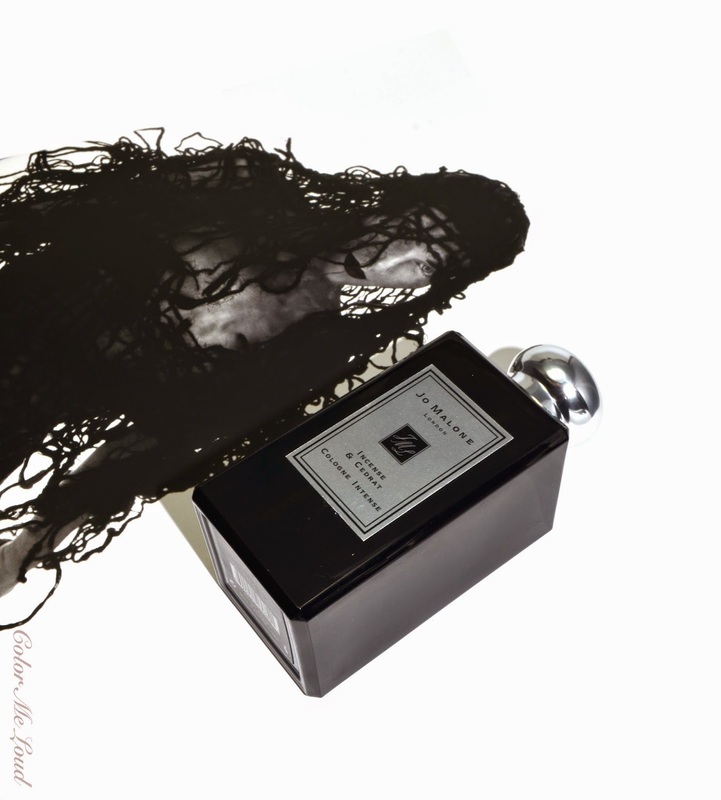 Although with unisex scents, alot of whether I find it feminine enough to be wearable is if it's sweet enough - not like Prada Candy or something but more like that crystallised fruit vibe in Serge Lutens' perfumes. If it's totally dry, it's probably a miss for me!